The Spot Price view is used to configure how Spot Price is calculated. 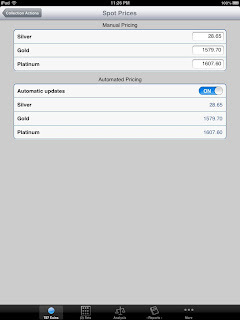 By default, the App automatically resolves current Spot price for Silver, Gold, and Platinum. Spot is used to value common Gold and Silver coins, as described here. 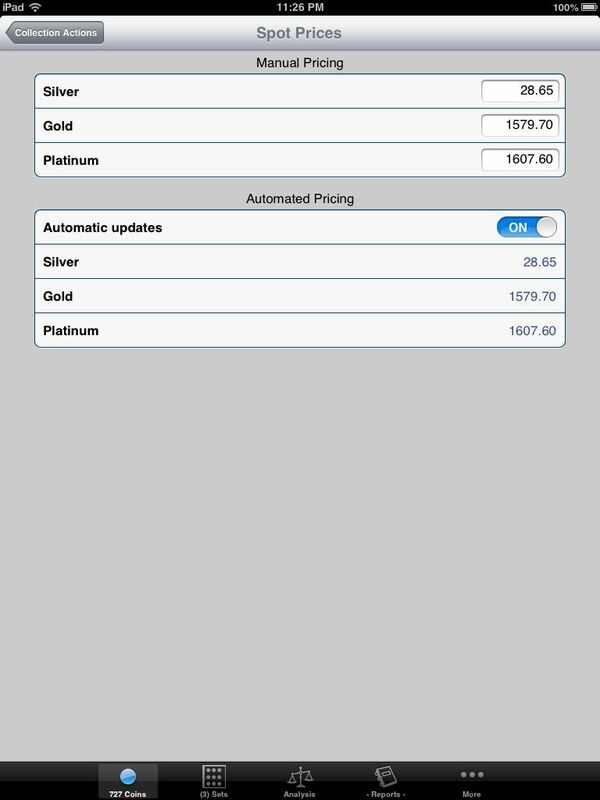 In the rare event that the App is unable to resolve current Spot prices, this view can be used to manually override the automatic spot pricing mechanism. To enable this manual override, turn off the Automatic updates by turning them off in this view.